When most people start an exercise program, they may be trying to do one of a few things. Most people move more to lose weight, some exercise to gain muscle, and some just want to tone up. However, the benefit from exercise that most may not think of is improved mood. A recent study shows that moving more each day may have prevent depressive symptoms. Not to mention, that research also shows that preventing or improving such symptoms can help improve health outcomes in those with diabetes. Depression is a mood disorder that can greatly impact daily life. It can make daily activities seem impossible by impacting the way you feel, think, sleep, eat, and work. There are various forms of depression such as persistent depressive disorder, which involves symptoms lasting two years or more. On the other hand, there are forms of depression that occur as a result of certain environmental changes such as in climate like with seasonal affective disorder, or after pregnancy like with postpartum depression. Some people with depression may also experience other serious mood symptoms like with bipolar disorder or psychotic depression. Not everyone with depression experiences every symptom. However, if you have a few of these symptoms and you feel that daily life has become hard to handle, then it may be time to reach out to a healthcare professional for help. Antidepressant medications and psychotherapy, like talk therapy are typical primary treatments for depression. However, if these treatments alone are not helping all of your symptoms, then there are some other things you can try. Experts suggest asking for help from a trusted friend, family member, or counselor as well as taking steps to take part in your community for social support. Another treatment option is to join a study through the National Institutes of Health where new treatments will be tested. If you need help now, then reach out to someone today for advice through one of the resources found on this website. Exercise can also be something you can do now to help improve your depressive symptoms. The American Heart Association suggests that most adults exercise at least 150 minutes a week. This means that for most days of the week, you should move at least thirty minutes a day. This doesn’t have to be all at once, but can be a few minutes at a time. And this exercise should be at a moderate pace. Therefore, if you walk briskly for a few minutes here and there for a total of thirty minutes a day, then you can keep your heart strong. Not only that, but you can also keep your mind healthy too. A recent study shows that exercise may help improve depressive symptoms. This study looked at data from over 600000 adults. Study results show that there is a protective relationship between exercise and risk for major depressive disorder. And what makes this finding stronger is that this data was taken from actual measured movement, not self-reported exercise. Therefore, experts suggest that exercise could be an effective adjunct strategy to help treat and prevent depressive symptoms. If you exercise to help improve your depressive symptoms, you could also help improve your diabetes risk. Experts report that depressive symptoms correlate strongly with a risk of incident diabetes. A study of data from the Women’s Health Initiative (WHI) looked at whether positive behavior could help lower risk of type 2 diabetes in postmenopausal women. The study looked at data from over 100000 women over 14 years. 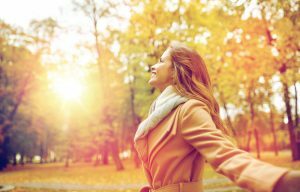 Study results show that those who were the most optimistic had a 12-percent lower risk of developing diabetes versus those in the lowest quartile of optimism. Also, those who showed more hostile and negative behaviors, were at higher risk of developing type 2 diabetes. Therefore, prevention strategies to help target such negative mood and personality traits may help lower risk of type 2 diabetes in these persons. If you suffer from depression, then there are many steps you can take to help improve your quality of life. The first step is to ask for help. I know this is not an easy ask, but there are many resources out there where people want to help you take back your life. And if you have diabetes, it may be worth it to be screened for depression to see if such strategies listed above may help you not only feel better in your mind, but also help improve your diabetes symptoms. Changes in diet such as consuming more antioxidant-rich foods and taking supplements such as Elevia by Vita Sciences may also help. Elevia contains GABA and 5-HTP to help calm your mind and boost serotonin levels. This could be another tool in your belt to help you improve your depressive symptoms and start feeling better inside and out. Could Women’s Hearts be More Sensitive to Stress? 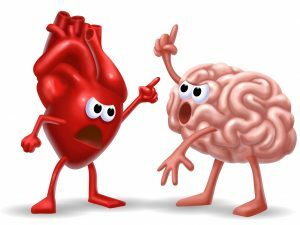 Stress of the mind can hurt your heart. Your heart is racing. Your palms are sweaty. Sometimes you may feel dizzy, disoriented, or nauseous. These are all potential symptoms when you are faced with a stressful situation. However, one of the most dangerous symptoms of stress is constriction of blood vessels. A recent study has found that women may be more at risk for heart-related health problems in response to stress. In addition to such conditions, stress can also increase blood pressure, which can in turn increase risk of heart disease. This is due to the body’s response to a perceived threat. The body goes into “fight-or-flight” mode in which the body constricts blood vessels to provide more blood flow to the major organs. Also, digestion slows to keep the body focused on providing blood to the brain and the heart. However, if anxiety or chronic exposure to the perceived threat(s) occurs, then this response can negatively impact health. A recent study in the journal Arteriosclerosis looked at 678 people with coronary artery disease, or plaques in the major arteries that affects blood flow. Each person was asked to engage in public speaking, a commonly known fear of many, to see if it triggered myocardial ischemia, or a reduction of blood flow in the heart. About 15-percent of study subjects triggered myocardial ischemia. Men and women were affected by this condition at a similar rate, but the cause was different. In men, blood flow was mostly affected by high blood pressure and increased heart rate. On the other hand, in women it was caused by a constriction of blood vessels, also known as microvascular dysfunction. The difference between the two reactions is that in men, the perceived fear increased workload on the heart. However, in women, the dysfunction of vessels impaired blood flow. It is not known whether this increased incidence of myocardial ischemia can increase risk of heart disease, but such studies are being planned. You can help decrease stress, and in turn, lower risk of heart disease in a variety of ways. The following list includes way you can lower stress on both your body and mind. Limit coffee and caffeine since such constrict blood vessels, thus impacting blood flow. Two to three cups a day is suggested for adequate health benefit. Quit or don’t smoke since smoking can also constrict blood vessels, and in turn blood flow, this increasing heart disease risk. Live a balanced life. It is important to make sure that as hard as you work in your job and in exercising, you should also rest your body just as readily. A good balance of rest and activity is around 30 minutes a day of moderate activity such as walking combined with about 7 hours of sleep each night. Being both active and resting well each night are important for the regulation of body fluids, blood pressure, and blood glucose levels in the body, among other things. Be mindful in everything you do. When you are more mindful and aware of the choices you make each day, it can eliminate a lot of stress on the body. The following are a list of small things you can do each day to be more mindful and in turn reduce stress on your body inside and out. Plan and prep meals and snacks ahead of time. Make healthy choices at meal and snack time such as less processed food and more fresh foods. Portion out food choices to prevent excess intake. Set a designated bedtime to help your body get more rest. Make a to-do list to keep track of your weekly tasks and delegate any tasks that you can to others. When you get stressed, give yourself a time-out with relaxation breathing to help you better face the situation at hand. Make time for yourself in your schedule by setting aside 15 minutes a day to meditate, read, or do something your enjoy to give your body and mind a break. Take supplements to help with sleep and managing stress. There are many herbal supplements on the market that claim to help with sleep and stress. However, it is important to do your research. Perhaps the supplement most well-known for its sleep-inducing properties is melatonin. It is actually a hormone produced by the brain’s pineal gland that affects the sleep/wake cycle and produces drowsiness. Those that may be deficient in this hormone may experience trouble sleeping or insomnia. However, it is important to remember that since it is a hormone, it may not be suitable for everyone, so be sure to check with your doctor first before starting a melatonin regimen. Another supplement to try is Sereneo by Vita Sciences. Sereneo contains a combination of magnesium, chamomile, and valerian to help promote a feeling of calm by working to help reduce stress and anxiety. Valerian and chamomile have been found to be safe, natural herbal remedies to help induce sleep, while magnesium has been found to help promote reduced anxiety and irritability. Be sure to let your healthcare provider know before starting any new supplement regimen to be sure it does not interact with any of your currently prescribed medications. Deans, M.D., E. (June 12, 2011) “Magnesium and the Brain: The Original Chill Pill.” Psychology Today. Can you treat a migraine without pain medicine? If you have ever had a migraine headache, you know the pain is so intense that a trip to the hospital may be in store. In this case, the ER staff may use an opioid pain medicine as a first resort. However, a recent study has shown that this commonly used drug, also known for its addictive qualities, may not be the best choice for migraine relief. A migraine headache involves a throbbing pain, usually on one side of the head, usually along with other symptoms. Nausea, vomiting, blurred vision, and sensitivity to light are some of the most common symptoms of such headaches. Pain can occur for hours, or even days, and warning symptoms such as constipation, mood changes, neck stiffness, increased thirst, or frequent yawning may precede a migraine. In rare cases, right before a migraine you may get aura symptoms such as flashes of light or blind spots. In the 24 hours after, you may have symptoms such as confusion, moodiness, dizziness, and weakness. Aspirin, ibuprofen, acetaminophen, or a combination of acetaminophen, aspirin and caffeine may be used for treatment of most migraines. More severe cases may require medications such as Triptan or Ergot, which help constrict blood vessels and block pain pathways. However, opioids are used if a person cannot tolerate such medicines. A recent study in the journal Neurology looked at 127 patients who had at least trips to the New York emergency department for migraine headaches. Half of the patients received the opioid hydromorphone and the other half received an IV of the dopamine-releasing drug prochlorperazine. After 48 hours of treatment, sixty-percent of people from the prochlorperazine group versus thirty-percent of the hydromorphone group felt relief. In addition, the prochlorperazine group was 30-percent less likely to ask for more pain medicine after treatment than the opioid group (6-percent versus 36-percent). This study suggests that anti-dopaminergic drugs may provide more relief to migraine headache sufferers than opioids. However, you should be sure to talk with your healthcare provider to find the best treatment for you. Learn to cope (LTC) : This treatment gradually exposes patients to headache triggers to help them become desensitized to such triggers. Practice consistent overall wellness: Be sure to get a good night’s sleep of at least 6 to 8 hours of sleep each night and eat healthy, balanced meals every day. Also, be sure to find healthy ways to manage stress such as doing yoga, engaging in relaxation breathing, or taking a walk daily. Stay active: Regular exercise can help not only manage stress, but can also prevent migraines. Exercise reduces such headaches by reducing tension in the body. Furthermore, staying active can help reduce body weight. Since obesity is thought to be a risk factor for migraine headaches, weight loss could reduce such risk. 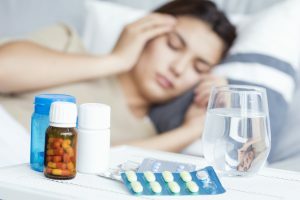 Other medicinal treatments: Cardiovascular or anti-seizure drugs, antidepressants, and Botox may be prescribed to help prevent migraine headaches. However, for the more natural route, reach for Migravent by Vita Sciences. Migravent contains natural ingredients such as PA-free butterbur, CoQ10, magnesium, and riboflavin. This formula has been found to help prevent migraines and support reduced frequency of such headaches and related symptoms. Disclaimer: Please be sure to talk to your healthcare provider before starting any new medication.